First Look: Bolphunga the Unrelenting Visits Portland! There are bad restaurant patrons…and then there’s Bolphunga the Unrelenting, who drops by Jessica’s work in this preview of GREEN LANTERNS #35. Asking for a promotion at work is hard. And that’s before the whole thing is unexpectedly interrupted by a loud, obnoxious Z-level galactic villain with a receding hairline. And yet, that’s precisely what Jessica Cruz is faced with in GREEN LANTERNS #35, which kicks off a new storyline called “Oh, Bolphunga, Where Art Thou?” that makes more than a few nods to the Coen Brothers. If the Coen Brothers wrote sci-fi epics featuring the less experienced members of the Justice League. Speaking of the League, did you know there’s a dating app for superheroes? We didn’t either, but it’s amazing what you learn when following the Green Lanterns of Earth’s adventures in space. Simon’s a little distracted when he gets the call to aid his partner. Which may be okay. 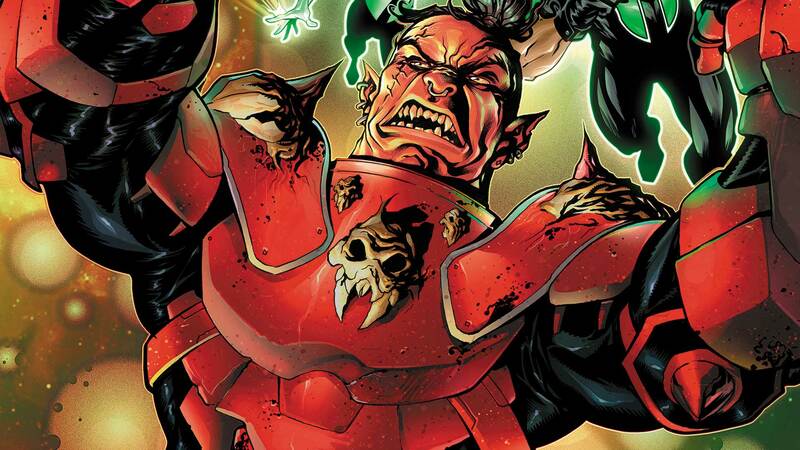 Because does it REALLY take two Green Lanterns to take down Bolphunga? I guess we’ll see when this hilarious little misadventure hits stands on Wednesday. Until then, enjoy this preview and take some comfort in the fact that no matter how bad your Monday is going, Jessica’s is starting off far, far worse. GREEN LANTERNS #35 by Tim Seeley, Carlo Barberi, Matt Santorelli and Ulises Arreola is in stores this Wednesday.